2019 Lort Smith calendar - ON SALE NOW!! 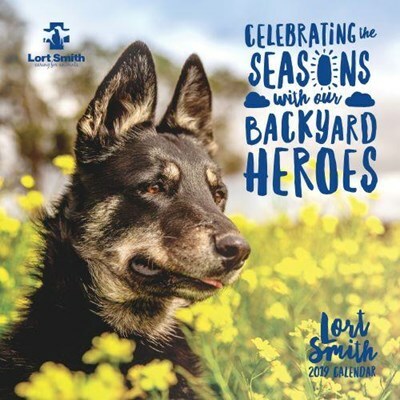 Celebrating our Backyard Heroes, this stunning calendar features animals adopted from and/or treated at Lort Smith. As well as our two Lort Smith Calendar Competition winners! If any city in the world can display four seasons in one day, it’s our very own Melbourne! Adopting this theme for our calendar allows us to share seasonal pet health tips for keeping your backyard hero safe and sound throughout the year.